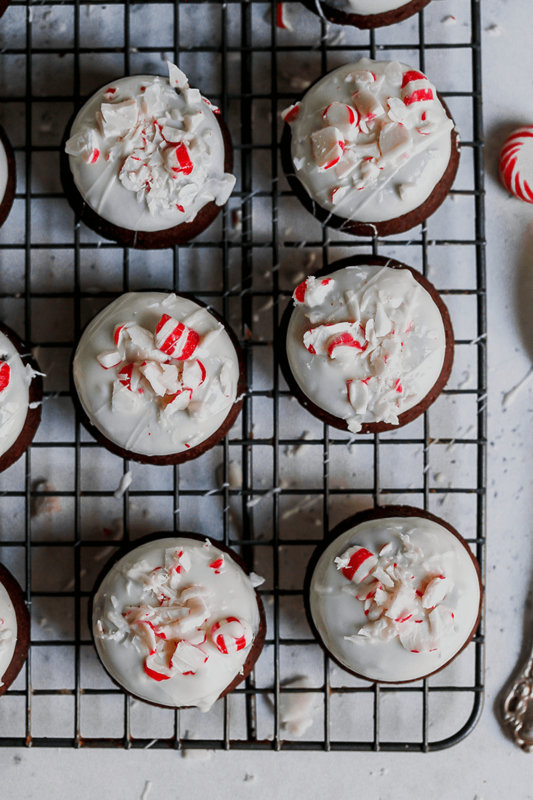 Festive, delicious and fun, these White Chocolate Peppermint Brownie Bites are a cinch to make for your holiday gathering. You know I love a shortcut recipe which is why these White Chocolate Peppermint Brownies Bites are just the thing to make for a last-minute dessert. 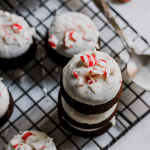 They’re a bite-sized dessert making them ideal for little hands and tie in all the festive colors and flavors of Christmas. 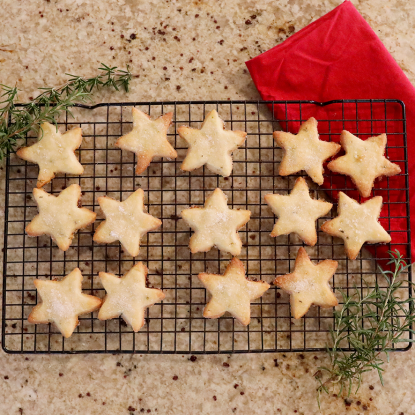 Plus, they’re a fun holiday treat to make with your children! Whether you make your own brownies (from scratch or from a box) or purchase the small round brownie bites found in your grocer’s bakery, you simply need a brownie as the base. Next, simply dip them into melted white chocolate that yo’ve flavored with peppermint extract and sprinkle with crushed peppermints. Simple, easy and so tasty! Seriously, you don’t even need a recipe to make these!! 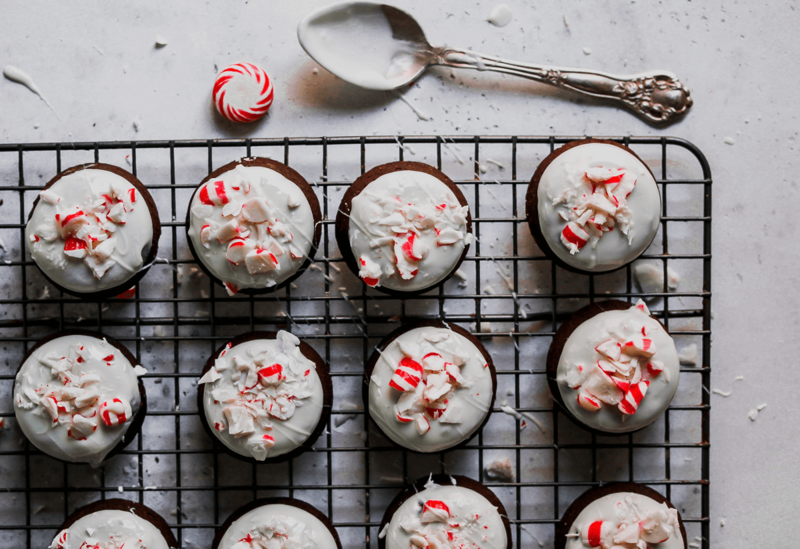 Do you have a favorite Christmas dessert? If you’re looking for something fun and fancy, be sure to check out my Pear Galette with Sparkling Cranberries. The cranberries are scrumptious and it never fails that once I make them, I can’t stop popping them in my mouth!! 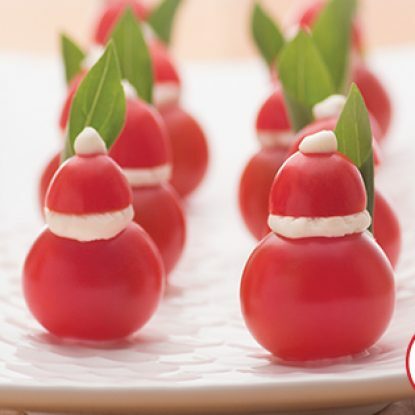 I also love these fun marshmallow pops for a cute holiday snack. Your kids will have a blast helping you make Reindeer Marshmallow Pops, Santa Marshmallow Pops, and Snowman Marshmallow Pops. 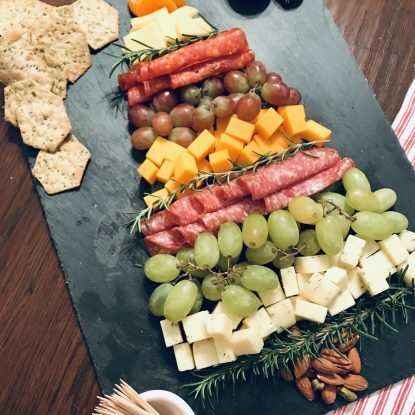 Make the season’s showstopping meal easier than ever with my delicious shortcuts and Ultimate Christmas Menu Guide where I feature the best of the season. 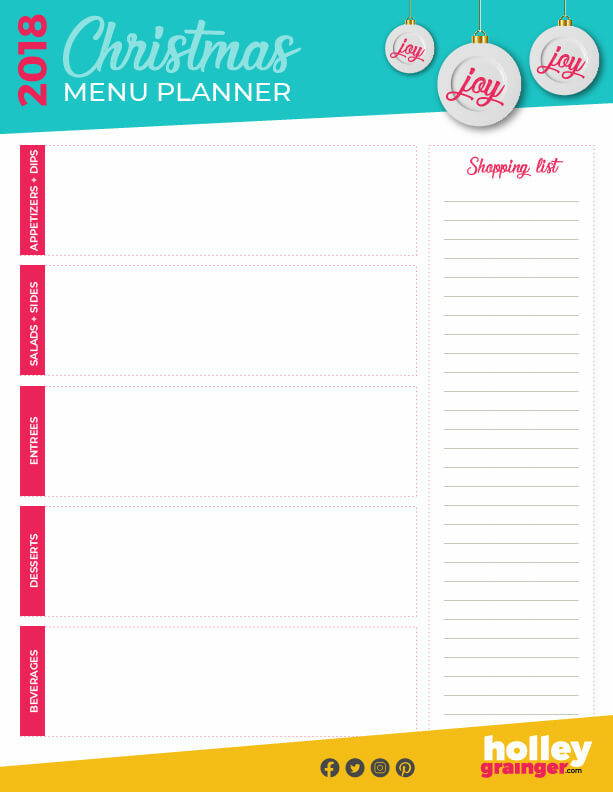 AND be sure to download my FREE Christmas Menu Planner! 1. Melt white chocolate chips and peppermint extract according to package directions. Dip top of each brownie into melted white chocolate shaking gently to remove excess. Transfer to a cooling rack then sprinkle with 1 teaspoon crushed peppermint candy while the white chocolate is still melt. Allow to dry. Store in an airtight container.